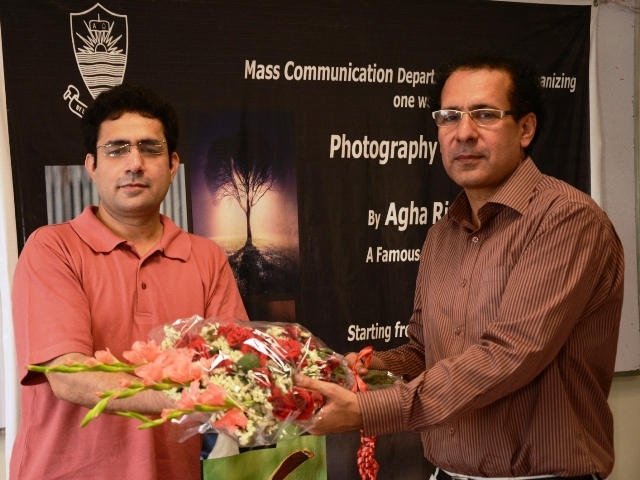 Mr Agha Rizwan, famous photographer and teacher, conducted a workshop on photojournalism in collaboration with Nikon and FJS. 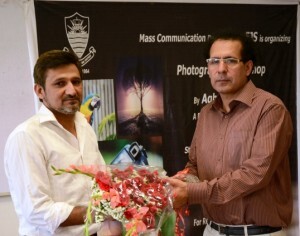 The free workshop was organized for students of the Mass Communications Department at FCC and continued from 15 April to 3 May 2013. The themes of this workshop include geometric patterns of buildings at FCC and the Walled City of Lahore, includind architectural masterpieces like the Badshahi Mosque, Lahore Fort, the Food Street etc. 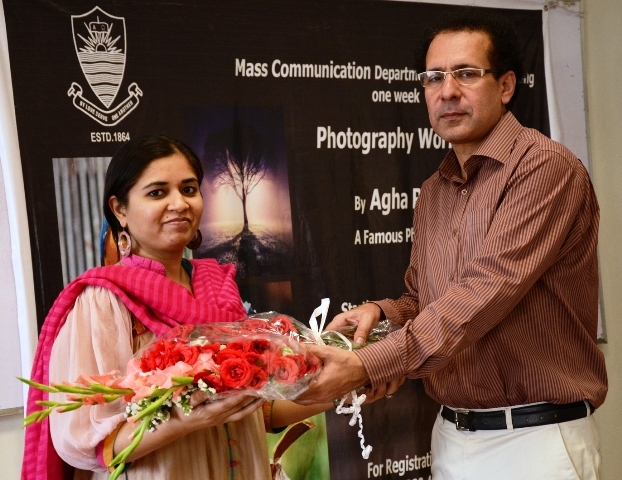 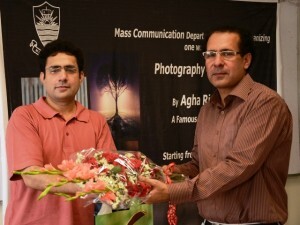 At the inauguration ceremony, Dr Hanan Mian, Chairperson Mass Communication Department, welcomed Agha Rizwan and other faculty members. 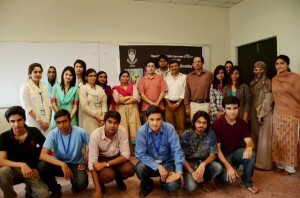 The students participating in the workshop will present their work in an exhibition to be held in S-008.